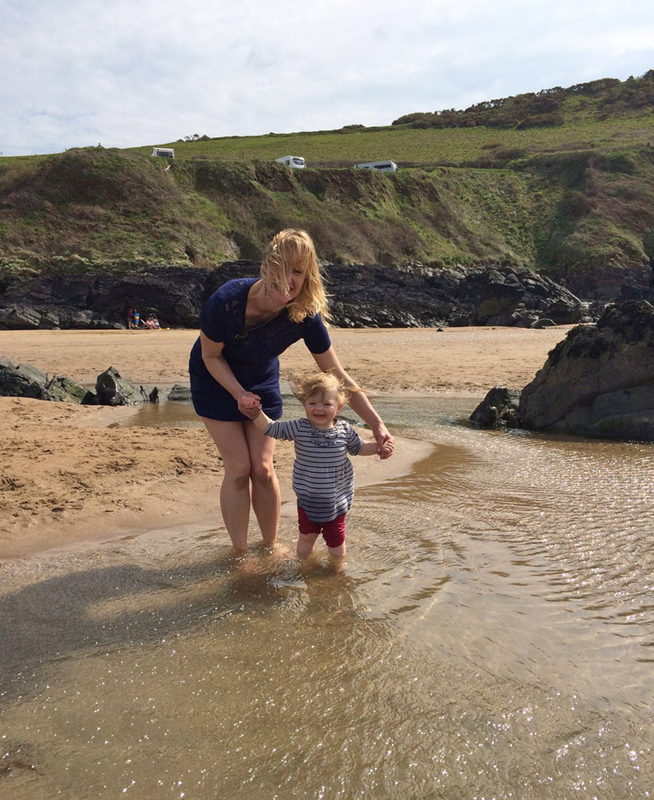 We’re just back from an idyllic family holiday in the sunny (and sometimes not so) South West. I’m a huge fan of holidays in Devon and Cornwall. They’re where I used to holiday as a kid. Their stunning, natural beauty on a sunny day. They’re so easy to get to. 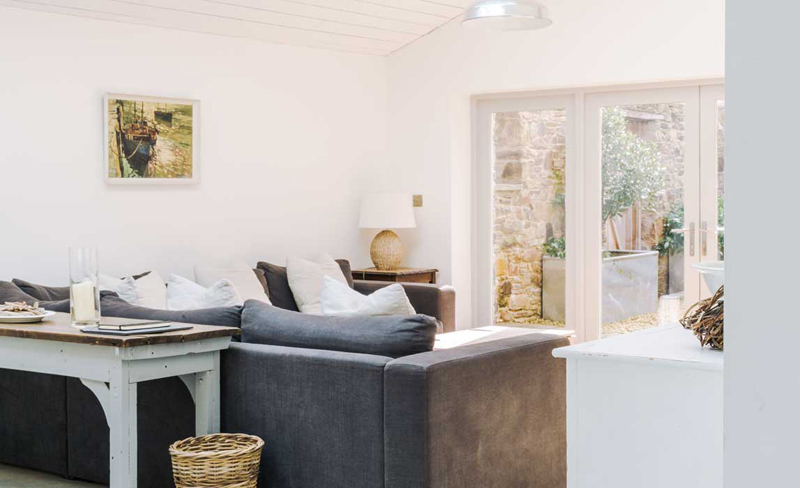 Load up the car one morning and you can be lounging on the beach by the afternoon, BBQ-ing that evening, and waking to sheep bleating, as was the case when my family and I went to re-review a couple of i-escape favourites recently. (Spoilt, I know). 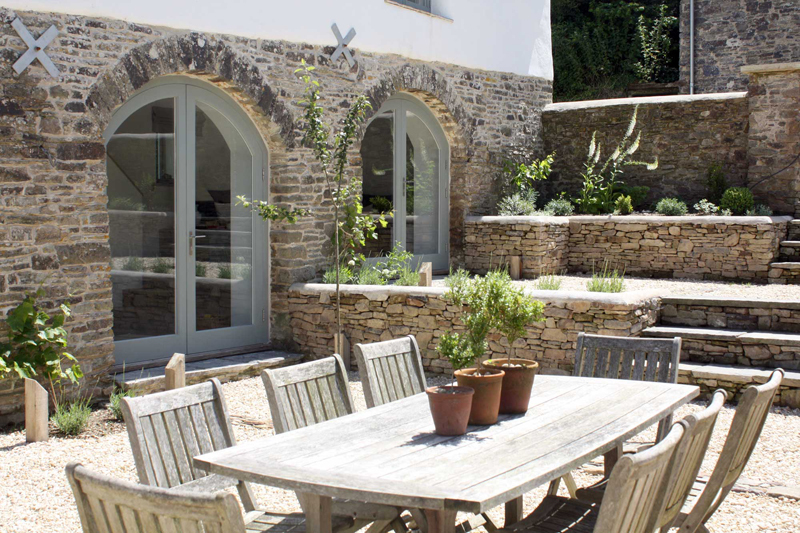 We began in Braunton (Devon), at the insanely beautiful Upcott Farm. I’d clicked through the photos, mesmerised by the décor, the lavender, and the grassy meadow with its little stream. 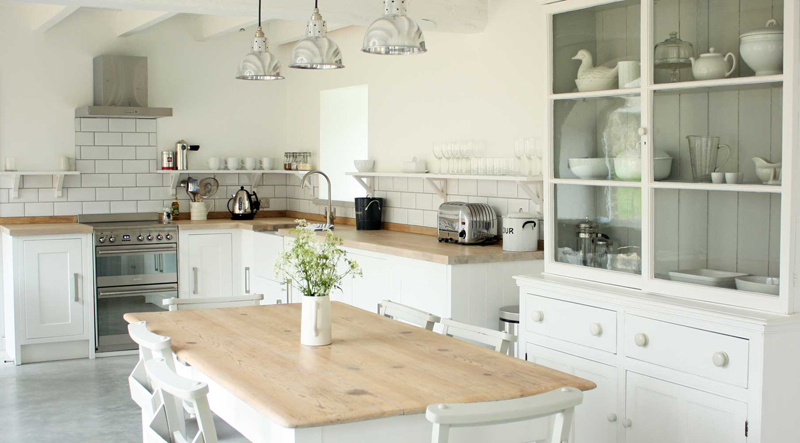 Surely nowhere could be this idyllic (the White Company shot their catalogue here)? And how the heck could they be so all-white, yet truly child-friendly? I needn’t have worried. 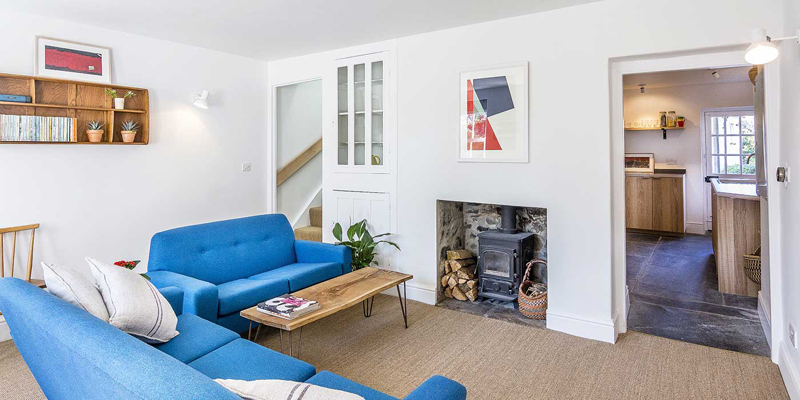 Welcoming owners Ben and Sarah have somehow created that parental dream of sheer style = comfort (and no mess!) in their 2 beautiful barns. I didn’t worry that my daughter would put jammy hands on the sofa; she was too busy playing with the Lego and jigsaws she found in her twin bedroom. She didn’t scuff the white walls; she was running barefoot in the meadow, jumping on the trampoline and waving to the donkeys next door. She was delighted with alfresco meals in our courtyard garden, and adored sorting glass jars of shells. Which left my husband and I to sit and read in the sunshine, cook lazy brunches in the beautiful kitchen, and just savour the peace. We all slept deeply (again, not a given!) and talked a lot about how we could make our home look like this. Over the next 3 days, we loved Ben’s local recommendations. 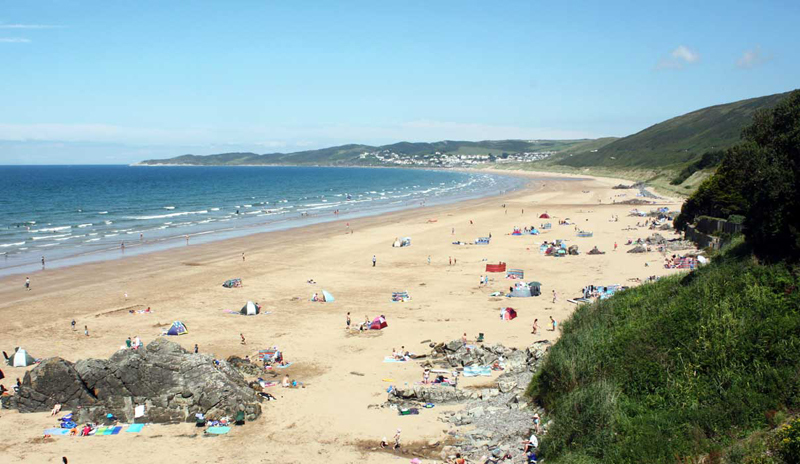 Putsborough Beach: vast, sandy, uncrowded. Saphie paddled in natural seapools and built sandcastles. Another day, we had lunch in the charming Sandleigh Tea Rooms, then walked the coastal path to Baggy Point (2 miles). There’s a lot to do an easy drive from Upcott (you definitely need a car here), but we were super happy just being in our magazine home. Our second stop was Bude Hideaways, in Cornwall. 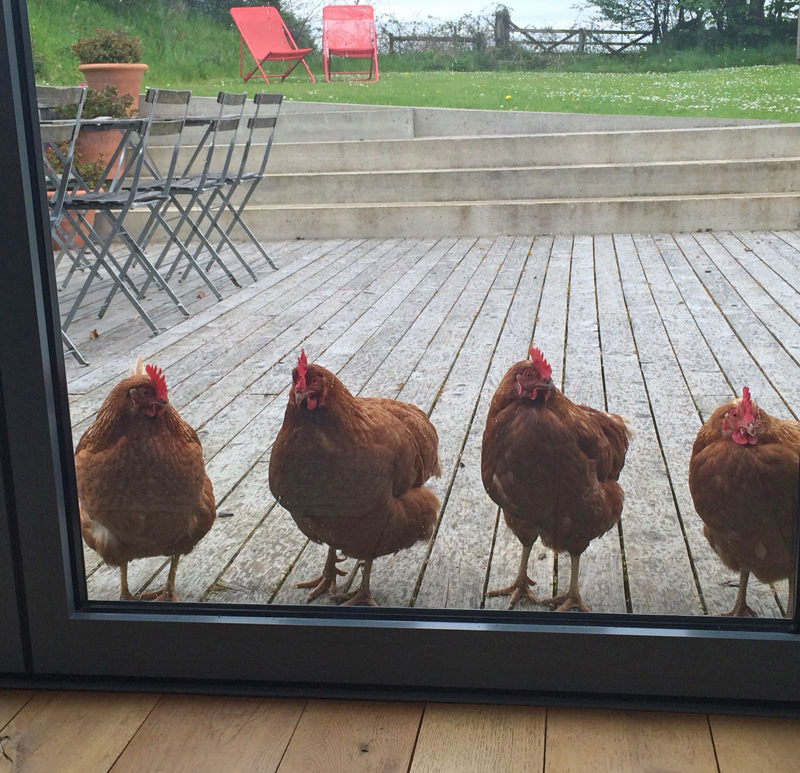 As we drove along narrow country lanes, we breathed in sea air and wild garlic; as we drew up on the farm, a clutch of free-range chickens rushed to greet us. Saphie was entranced. 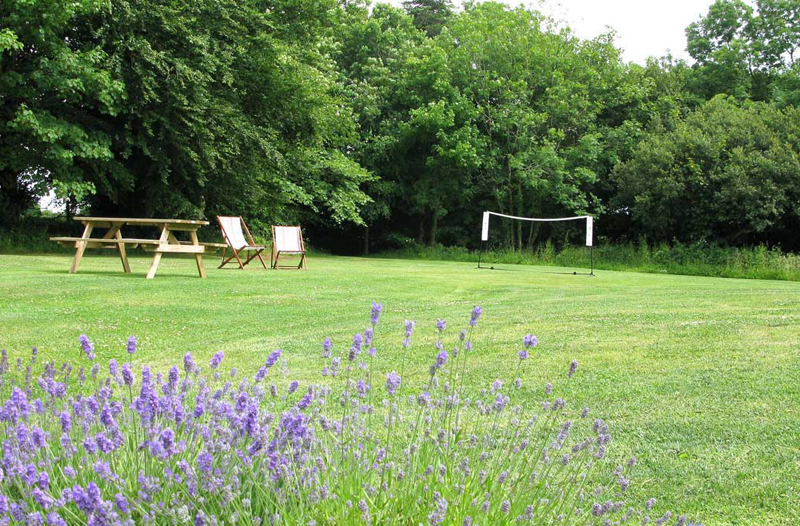 Owners Conrad and Karen started this 7-acre smallholding a few years ago, deciding to leave the London ratrace for some rural peace. And boy, have they found it. There is nothing nearby; no traffic, no neighbours, just the buzz of fat bees. 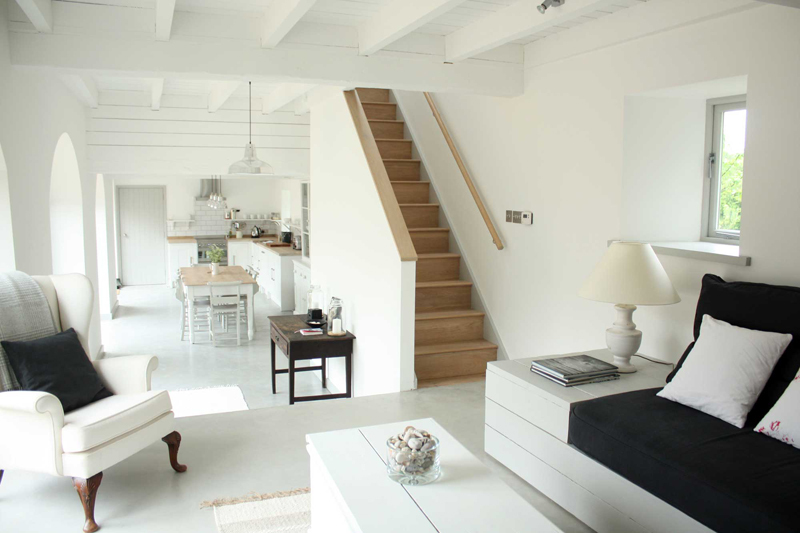 We adored their 2 stylish guest barns; a bijou conversion for 2-4, and the dramatic 4-bedroom Cob for 8-10. The story of their restoration is laid out in photobooks – we couldn’t believe the scope of the projects. 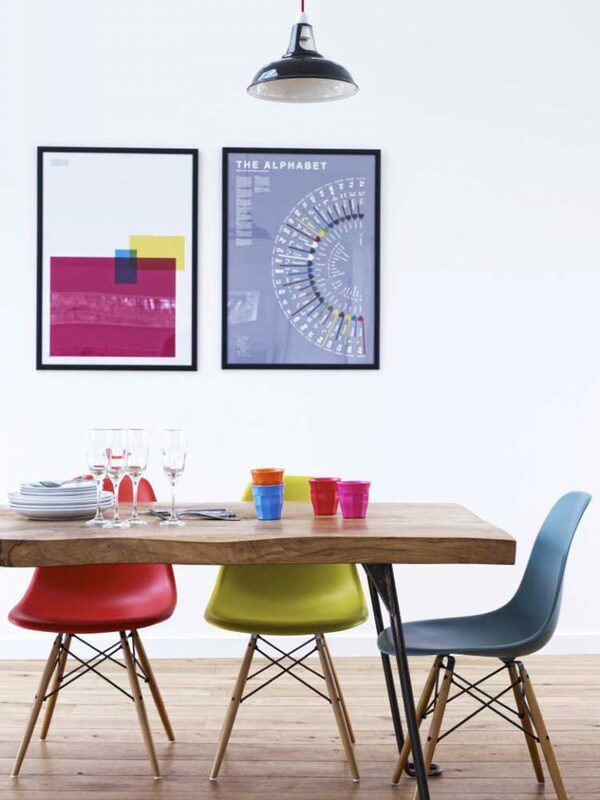 Today, they are architecturally stunning, packed with bright art and design classics. 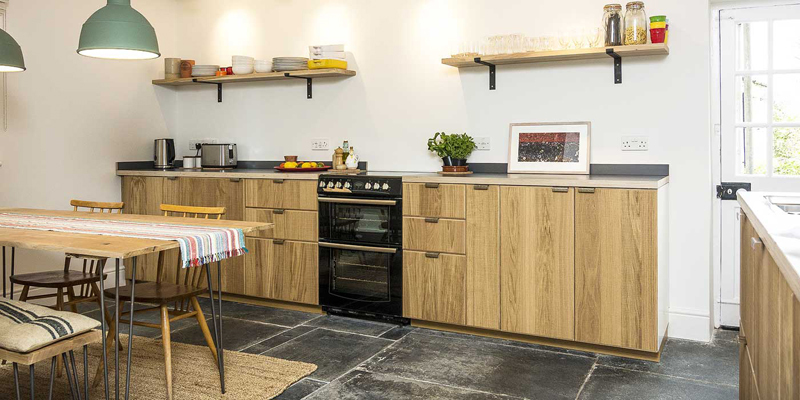 Our double-height kitchen soared above our heads; light poured in through numerous windows; and each bedroom was decorated differently, with zings of modern colour. Saph loved her kids’ room, with its bunkbeds and bright red furniture. 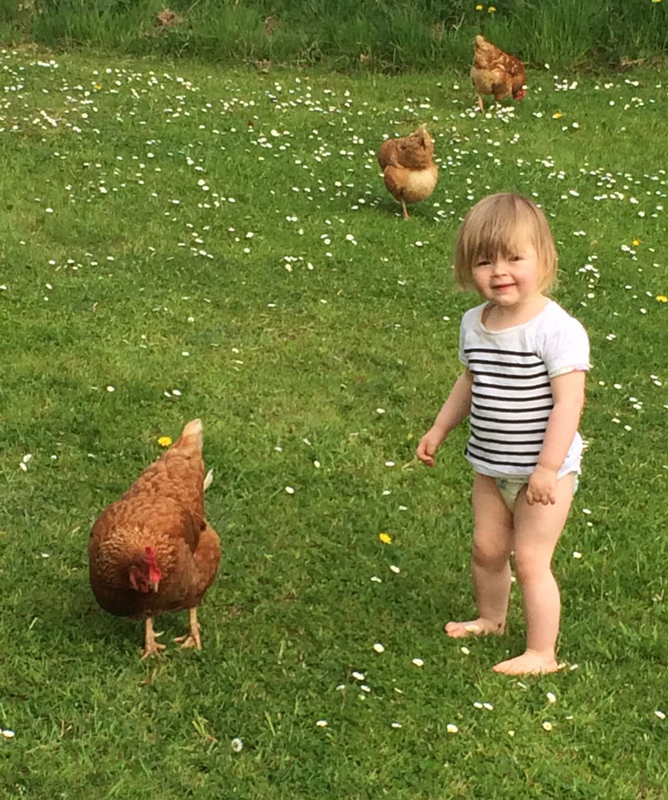 As for the large lawns, where she could chase a ball or the chickens around… she was free-range all week. 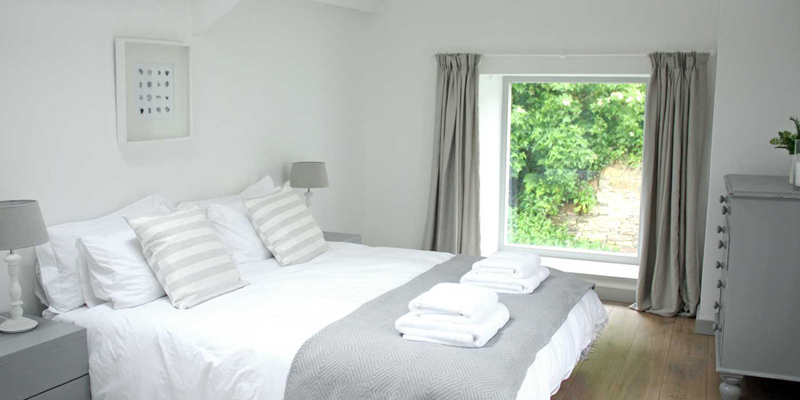 Like Upcott, the friendly owners live on site and are full of recommendations. They pointed us towards brilliant beaches (sandy Summerleaze, where they have a beach hut and bodyboards for hire; Crooklets with its rockpools and excellent surf; and Northcott Mouth, a secret pebbled cove.) We spent a rainy day at Lanhydrock (a magnificent Victorian country estate – ‘my castle!’ cried Saphie) and had an artery-bursting cream tea at Margaret’s Rustic Café. 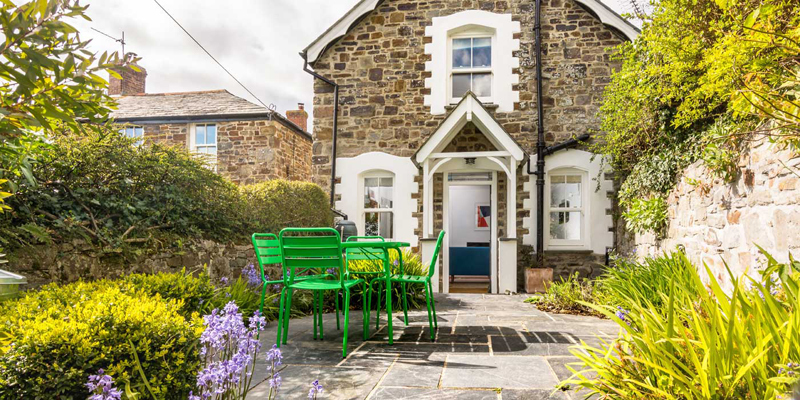 The final Bude hideaway is offsite, a delightful restored cottage for 2-4 in the quaint village of Poughill. 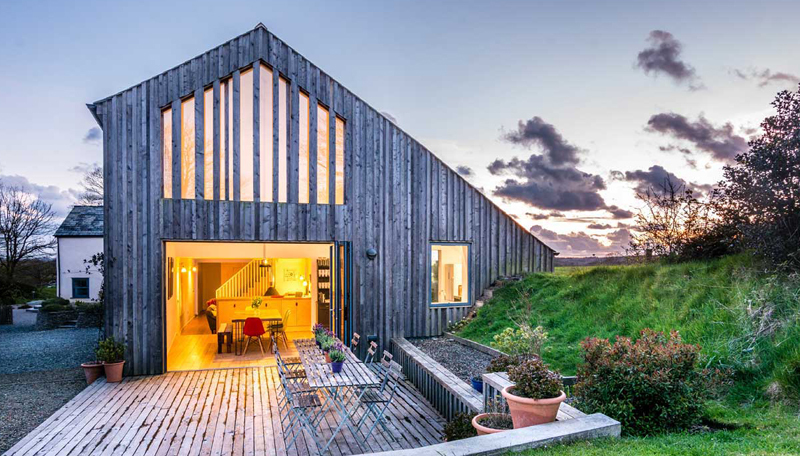 With a double and twin bedroom, and a great open-plan living space, this would be a perfect set-up for a family with older kids or a group of friends, or just a romantic hideaway for a couple. You can walk to the pub, to Bude’s restaurants, beaches and bars, and to the South West Coastal Path for stunning hiking. And it goes without saying it has been gorgeously decorated. Our departure was reluctant. We’d only driven 2 hours to get to either property, yet had the most amazing break. Some days we lucked out with the weather, others we went out with cagoules or just chilled at home. As much of a treat for my daughter, really, with unfamiliar toys to play with, films to download and art boxes. And for us, the opportunity to relax as a family, in the most beautiful of settings.